A hopeful young American writer, Edith Cushing, takes her manuscript to a publisher and waits breathlessly for his opinion as he reads it. He gives a sigh of dismay, turns to her, and comments dispiritedly, ‘A Ghost story?’. He suggests that she really ought to think about writing a love story. Edith is irritated by his advice but accepts that her manuscript is still a work in progress. Clearly though, Guillermo del Toro takes this advice on board, because he’s playfully warning the viewers of Crimson Peak that we are not to expect a Horror story here, but a Gothic Romance, (which was the most popular literary form at the time his film is set, and this is also a pertinent point, as I’ll reveal later). Guillermo del Toro always had what I would call, a Gothic imagination, and here he can finally give it full reign on home territory. Set in 19th-century England, in a gloriously decrepit manor house, and starring Mia Wasikowska, Tom Hiddleston and Jessica Chastain, the film looks as astoundingly sumptuous as one would expect from this stylish fantasist. For anyone who is familiar with the Gothic literary genre and its origin with novels such as Horace Walpole’s A Gothic Story- The Castle of Otranto, published in 1764 and Ann Radcliffe’s famous The Mysteries of Udolpho (1794), they will note that in Crimson Peak Del Toro has returned firmly to the original tenets of the tradition. 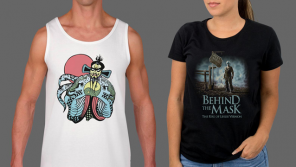 Some viewers have expressed disappointment, having expected the horror elements to be the major feature of the story, and who can blame them, as the trailer seemed to indicate that this movie was first and foremost a terrifying ghost story. There certainly are ghosts and, as far as they go, they are effectively horrific (del Toro is never one to shirk from a nasty looking spook), but ultimately, they play out more as a device, much as they do in the traditional Gothic tales, to highlight or bring into play, other, more immediate worldly terrors. First we have a prologue set in Buffalo, filmed in glowing sepia colours, where we meet the Edith Cushing (I so hope her name is a tribute to the marvellous horror actor, Peter) the only child of a wealthy American widower. The dashing English baronet Sir Thomas Sharpe (Hiddleston) has come seeking funds to build a machine he has invented, but is curtly dismissed. He turns his attentions to Edith, and when her father dies in a sudden and tragic ‘accident’ he woos and weds her, to the heartbreak of her long-time admirer, the solid but dull Dr. Alan McMichael (Charlie Hunnam). The story relocates — along with Thomas, Edith and Thomas’s mysterious and sinister sister, Lucille (Chastain) — to the ancestral home of the Sharpe family which dominates the bleak Cumberland landscape in which it stands, Allerdale Hall. 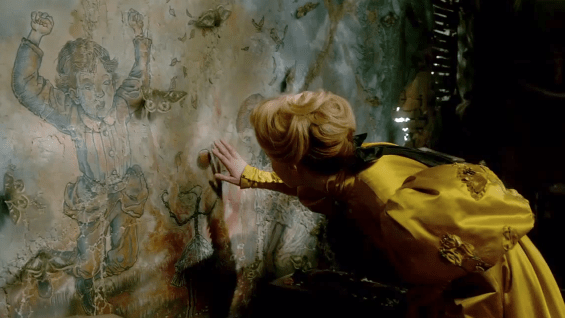 So far, so conventionally Gothic romance, and now del Toro can really get into his stride. Allerdale Hall is the most divinely conceived decaying family mansion ever committed to film. It is huge, resplendent with sombre, gothic architectural features along with a creaky elevator which goes down to the cellar, to which Edith is immediately forbidden to descend. An innocent young bride is barred from entering certain rooms in her husband’s house – they keys are visible, yet kept from her (in this case by Lucille) – already we have hints of a rather well-known gothic fairy-tale which becomes ever more pertinent to del Toro’s story. Up in the massive vaulted ceiling of the house there is a gaping hole through which the leaves and snowflakes can waft almost continuously in a serene mist of muted colours. Through the black surrounding walls and the floorboards of the house oozes a blood-coloured clay into which the house is slowly sinking and which stains the snow-capped hills scarlet, leading locals to bestow the nickname, Crimson Peak. The wind sighs and gasps through the corridors – it is a house that breathes, bleeds, and remembers. 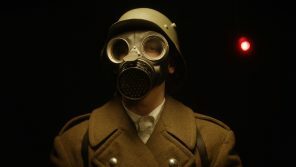 Edith sees dead people – her sepia coloured American childhood was punctuated by the frightening, black apparition of her dead mother, breathing warnings. Almost from the very moment she enters the decrepit halls of her husband’s house she begins to be conscious of former occupants, dead but not at rest, desperate to communicate their plight. They’re not pretty, although perhaps they once were. Where Guilliermo del Toro excels is not in the originality of the story, clues as to where he is borrowing from appear from the very beginning, but in the execution of it. It is breathtakingly beautiful to look at, and if you are already a fan of the gothic tradition, you’ll be swept away by the spectacle of it all and the meticulous attention to colour, texture and detail. Nods to archetypal fairy-tales and stories appear throughout (I found it bit like spotting the original Conan Doyle in Gatiss/Moffat modern adaptations of Sherlock). If you feel the need to be horrified, shocked and moved by a grim ghost story, you should look to del Toro’s Spanish movies, such as the excellent ‘The Devil’s Backbone‘. 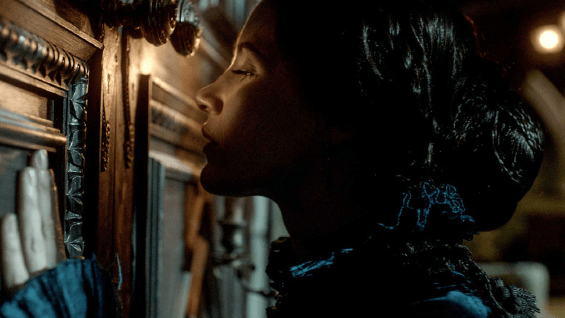 Edith inevitably has to undergo a trial by ordeal before the story ends, and when it does, we see the shot of a book closing – it is titled ‘Crimson Peak’ and the author is Edith Cushing. This begs the question – is the movie about ‘What Katy (Edith) did..’ or did Edith ultimately take her publisher’s advice and write a book which would appear to the masses of the time? 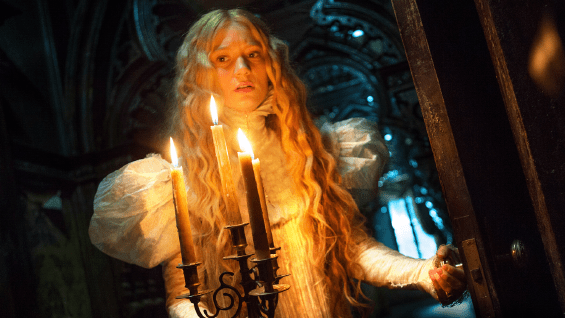 Is Crimson Peak all along, just really ‘What Edith wrote’? Crimson Peak (2015), directed by Guillermo del Toro. Written by Guillermo del Toro and Matthew Robbins. Starring Mia Wasikowska, Jessica Chastain and Tom Hiddleston. 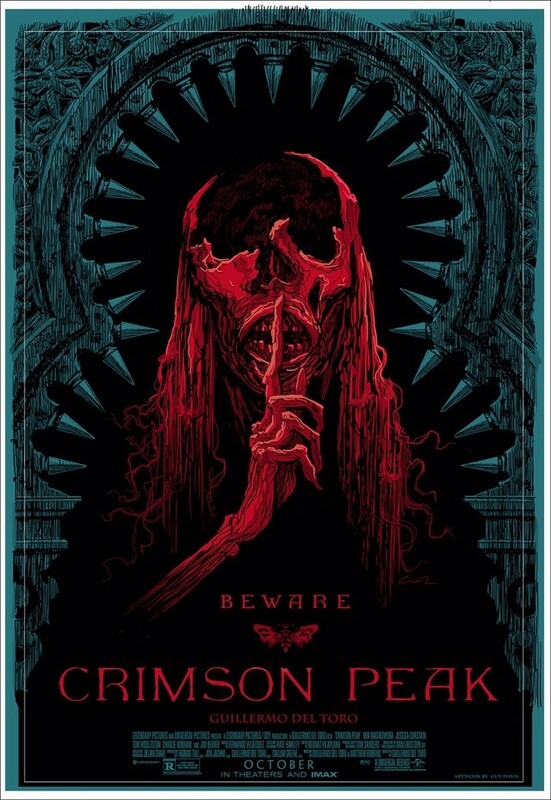 Crimson Peak is available to buy from Amazon.co.uk ; plus if you decide to make a purchase after following the link provided you will have supported Attack From Planet B, so thank you.